Chink was a speedy little outfielder who was used primarily as a pinch runner by the Cubs during the first month of the 1925 season. He only got into eight games during that time, and was sent down to the minors in May. He never made it back to the big leagues. He came up to the big leagues during the war, and pitched in the 1944 all St. Louis World Series (Browns vs. Cardinals), but when the regular players came back from the service, Freddy had a much tougher time making rosters. His last stop in the big leagues was with the Chicago Cubs. 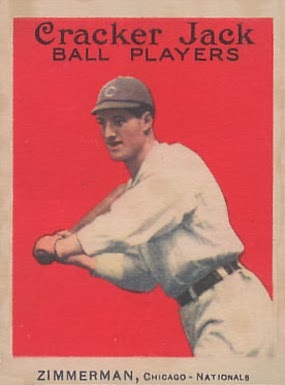 He started exactly one game, on September 24, 1947 in Cincinnati’s Crosley Field, and was roughed up pretty badly by the Reds. He gave up four hits and five walks in only three innings pitched. The Cubs lost the game 6-5, but Freddy wasn’t charged with the loss. Cubs reliever Emil Kush threw exactly one pitch that game, and it was knocked over the fence in the bottom of the ninth by Grady Hatton for a walk-off home run. The Cubs traded stud pitcher Burt Hooton to the Dodgers to get Eddie, but they found out pretty quickly that he wasn’t their type of guy. He was considered a bad apple by Cubs management, and they didn’t waste any time getting rid of him. Eddie was with the Cubs for only two months, but he did manage to pitch in the big leagues until 1982 with the Cardinals, Braves, Pirates, and White Sox. Just four years after his last big league game, he died in a car accident in Macon Georgia at the age of 34. Pratt was a catcher in the National League for fourteen seasons, but he couldn’t have picked a worse one to be with the Cubs. The summer of 1995 is still considered the hottest summer in Chicago history. On July 13th and 14th, the two hottest days in the city’s hottest summer (106 degrees and 102 degrees), Todd Pratt caught all nine innings of both games. The second one was a day game. The Cubs lost both games. He only played one season with the Cubs as their backup catcher, but Navarro hit several dramatic game winning home runs, and provided the only pop off the bench that season for the Cubs.